Since 1999, Michael Love & Associates (MLA) has been a leader in the development of the FishXing software and online resources for the U.S. Forest Service, including software documentation and an on-line User Manual. FishXing models the complexities and interactions of culvert hydraulics and fish locomotion for a variety of species and crossing configurations. The model has proven useful in identifying culverts that impede fish passage, leading to the removal of hundreds of barriers. As a design tool, FishXing accommodates the iterative process of designing a new culvert to provide passage for fish and other aquatic organisms. 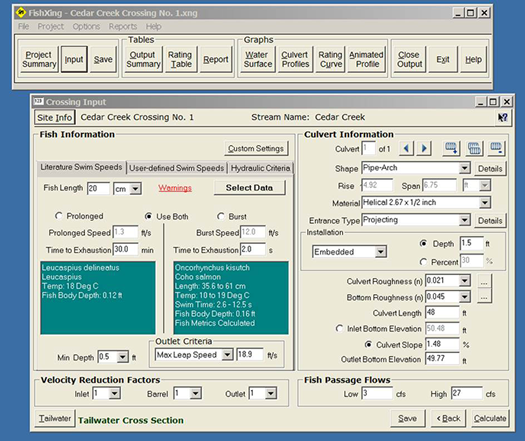 This software is used by engineers, fish biologists, hydrologists, and others in the evaluation and design of culverts for fish passage. The model emphasizes the interdisciplinary nature of fish passage projects and encourages collaboration. It is used extensively by the US Forest Service and numerous other state and Federal transportation and resource agencies throughout United States and beyond. It is free and available for download at the FishXing website. 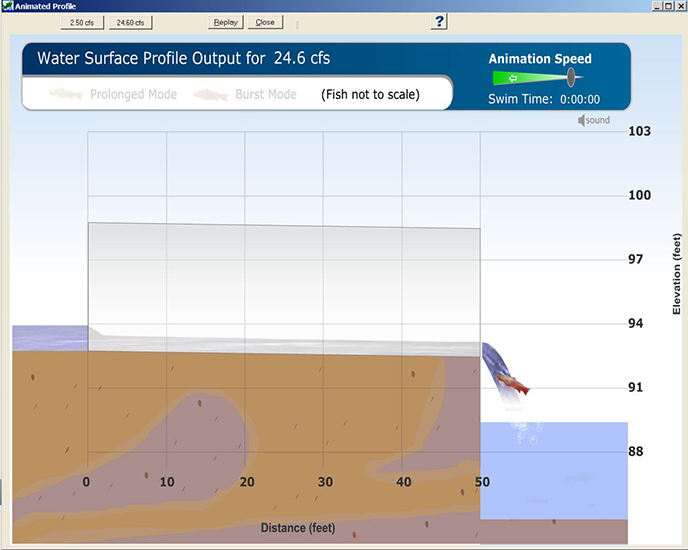 MLA developed the hydraulic modeling features unique to FishXing based on published hydraulic research. 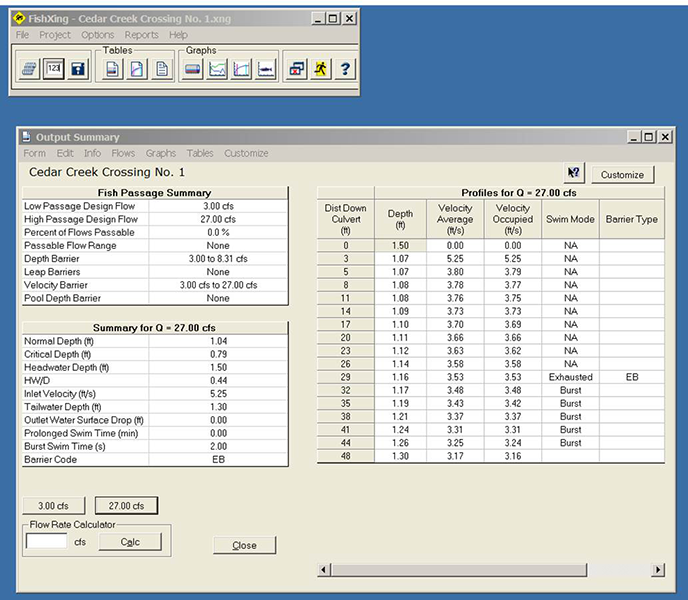 FishXing has been accepted by the Federal Highway Administration as a culvert analysis tool equivalent to their published methods. Unlike most hydraulic software, FishXing focuses on the culvert hydraulics relevant to fish passage, including detailed entrance, internal, and exit hydraulics. 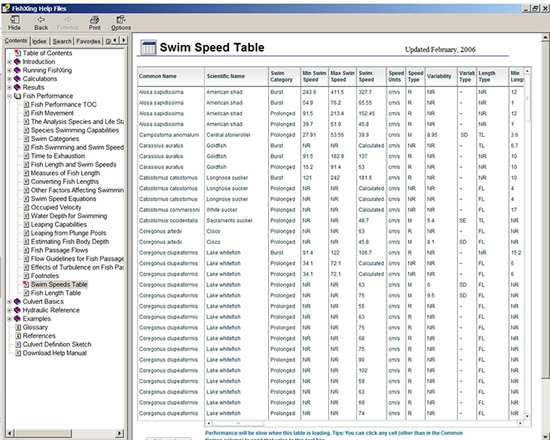 The software includes a built in Fish Performance Database which provides Prolonged and Burst Swim Speeds for a wide variety species found throughout North America as referenced from accepted literature. 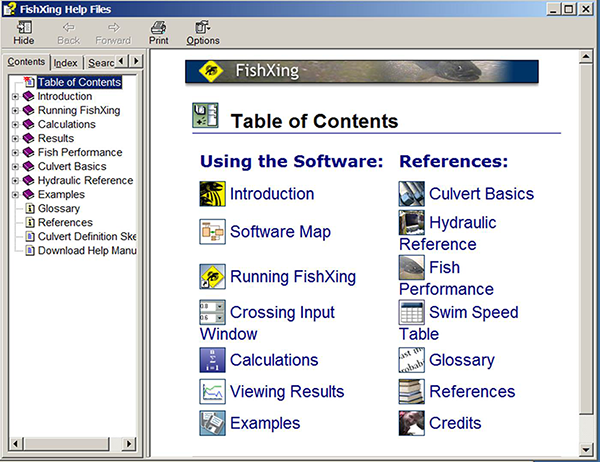 The user and reference manuals developed by MLA include interactive features that assist in teaching relevant principles and instruct users in inventory and assessment of culverts using FishXing. 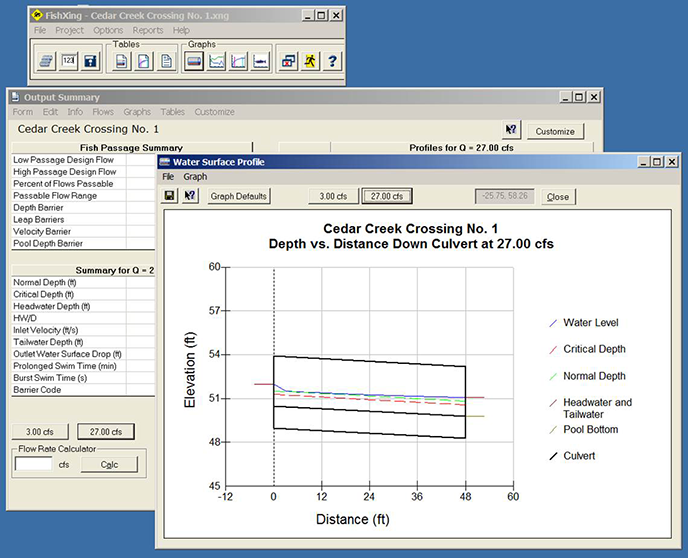 MLA regularly provides trainings that utilize FishXing for both assessment of barriers and design of new road-stream crossings. © 2014 All Rights Reserved, Michael Love & Associates.